JELL-O newest offering, MOUSSE TEMPTATIONS by JELL-O, has been flying off shelves. 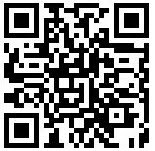 I hope you’ve been making “me” time, and have taken some time to enjoy their indulgent taste(if not NOW is the time!). I have to say these temptations are one of my personal favorites. Who knew “nothing” could taste so yummy? With bathing suit season right around the corner, enjoy a refreshing snack with Weight Watchers®-endorsed sugar-free JELL-O gelatin cups. (I better get my act together!!) These light and tasty snacks have only 10 calories each, and 0 Weight Watchers® POINTS® value per serving. Plus they come in 10 yummy flavors – you’ll feel like a kid again. Make anytime snack time with sugar-free JELL-O pudding cups. After lunch or in the middle of the afternoon, enjoy creamy and sweet Dulce de Leche or Chocolate Pudding. Whether it’s after breaking a sweat during basketball practice, finishing math homework, or simply as a tasty dessert, kiddos will love taste of JELL-O cups. With bright colors and delicious flavors, like the new Lemon-Lime Splash/Outrageous Orange and the Berry Blue/Outrageous Orange combination packs, you’ll be the coolest mom on the block. The sweet taste of JELL-O pudding cups comes in flavors like Chocolate, Vanilla, and Chocolate Vanilla Swirl. Kids will love these delicious, creamy treats. My boys LOVE JELL-O ! (this mom does also!) but I have never bought them the sugar free line of gelatin or pudding. I guess I just thought they would not like it. Well, to my surprise I gave it to them and did not tell them it was sugar free and they did NOT know the difference, or if they did they still like it because it did not stop them from eating it all up! I was excited to try the sugar free Dulce de Leche , it did not disappoint……YUMMY. This is from someone that normally will not even try something that says sugar free. I guess those two words makes me think “ no taste”, let’s just say I was proven wrong. Besides a great snack for home I also pack JELL-O products in my sons lunch for school. 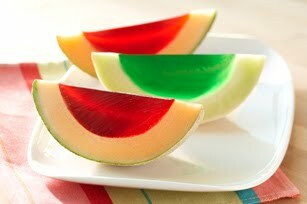 While I was on the JELL-O website I checked out their recipes, they have great FUN snack ideas, I think I will be making the "Jellin'-Melon" Snacks soon! My kids love gelatin and they love fruit so I think this snack will be a hit! My favorite is the vanilla swirl.